The other day, mid-rant about the chronology and escalation of the War on Drugs, I was asked why I cared so much about the issue. I was at a political potluck in a flat in Auckland Central (politicians in Aotearoa are far more accessible than most folks realise – hit us with a Facebook message, and we’re yours). The young man explained, no one he knew was getting arrested for their purchase or consumption of drugs; surely no one was really being arrested for this stuff anymore. There’s gotta be more important things to focus on, like poverty or climate change, or something, he stated. What’s true is that there’s always a competition of things to focus on in politics. I didn’t actually come into Parliament with a laser focus on drug law reform. To be honest, it wasn’t even really on my radar. I wanted to focus on ‘fixing democracy’ by boosting empowerment of everyday people to engage and change things. I wanted to overhaul the education system so it focuses on the strengths of our rangatahi, building them into citizens instead of carving off their edges and dulling the spark to put them in some career pigeonhole at 18. I wanted to help inform massive constitutional reform grounded in Te Tiriti O Waitangi. I wanted to entrench housing as a human right with a requisite Government obligation. I still want to do those things and I still care about those things. And I believe I can continue working on those things while progressing other mahi. But what I realised quite quickly when I came into Parliament is that there’s a few contentious issues most politicians don’t really want to associate themselves to. One of the elephants in the room is drug law. 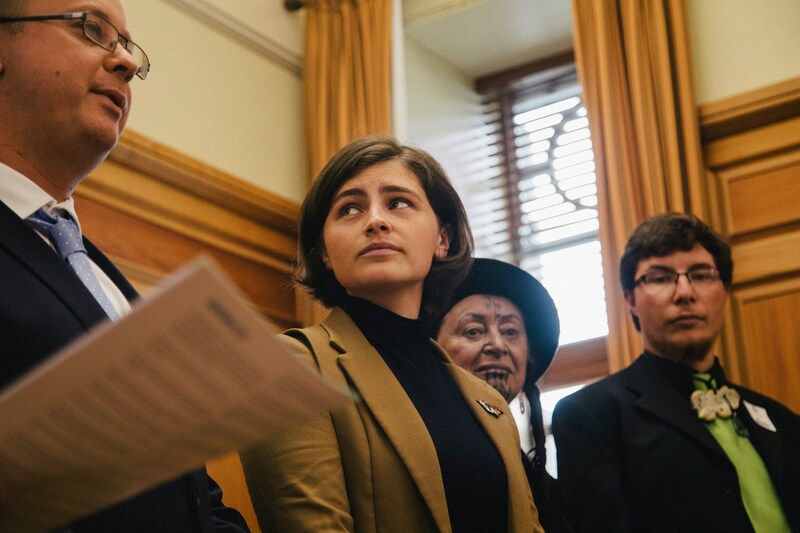 I first got tangentially involved in the issue when our Green caucus decided I would be the member responsible for progressing Julie Anne Genter’s Medicinal Cannabis member’s bill – with the formation of the Government, she’d just become a Minister, and a Minister can’t progress a member’s bill. That Bill focused on a prescription-based model to medicinal cannabis, but because it allowed for personal cultivation (notably, as a large number of jurisdictions who’ve got medicinal cannabis regimes do), a Family First press release dubbed it the ‘grow your own’ Bill, and undue moral panic could not be undone by appealing to facts, research or reason. With the majority of Parliament voting the Bill down, I came to the cynical realisation that rhetoric is so often easier than rational debate, or meaningful policy development. Cannabis, and drugs at large, were an easy target for politicians posturing; it’s far easier to say that you’ve seen the harm of something than to grapple with the reality that sometimes, our legislative response doubles down that harm. That’s how I became fixated by what I feel is one of the greatest inequitable injustices perpetuated in modern society. To the point raised at the flat potluck, draconian drug law can’t be enforced on all people who break it, because there wouldn’t be many folks left. Instead, it’s disproportionately enforced against the young, against Māori, and against the poor, so that we can maintain our mainstream mythologies about the War on Drugs. As of a few weeks ago, New Zealand’s Chief Coroner has provisionally linked around 50 deaths in the past twelve months to the consumption of synthetics. The people dying are largely the homeless, the jobless; our poorest and most vulnerable. Somehow, the mainstream political response has been to reinforce the approach of the past forty years, and seek to increase penalties – despite evidence it’ll have no impact on availability or affordability, but will increase our prison population. It’s past time we took a different approach. What we know about problematic substance consumption, abuse and addiction is that it often stems from an individual’s hunt for escapism – they may have a traumatic past, or a frightening day-to-day, or be attempting to self-medicate. The best way to reduce this problematic consumption is to improve their lives. House the homeless, strengthen and empower communities, reduce inequality, and invest in mental health services. For about ten months now, I’ve been trying to work across Parliament to bring together a cross-party group on Mental Health and Drug Harm Reduction. The Greens have been publicly advocating alongside those at the coalface of drug harm, to stop criminalising users and improve their lives, and actively negotiating with our Government partners. A few weeks ago in the House, I criticised the huge number of politicians who’ve admitted to past drug consumption – often, cannabis – but now rule over laws that penalise people for doing the same. Change is coming. But like all things in politics, it can’t be taken for granted. All voices are needed to force politicians to do the right thing – if you can lend yours, chuck your local politician an email, a phone call, or slide into their DMs.